Well, it's finally that time of year ..The weather gets cooler, we get out our sweaters, leaves begin to fall .... But wait, NO, not that !! 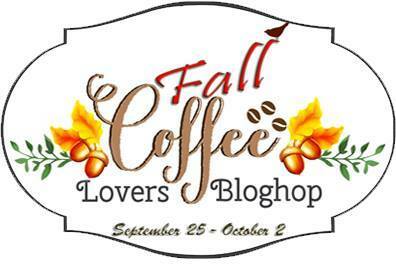 I mean it's time for the Fall Coffee Lovers Blog Hop !! I had so much fun last year and then again this year starting with the Spring Hop. So now along with the anticipation of the first Pumpkin Spice Lattes of the season, we also are thrilled it is Blog Hop time again !! I've been a bit preoccupied with some health issues but was glad to take my mind off of that with some fun cards.. Not sure how many I will post this time--probably not one a day, like I have in the past. But I will again offer some coffee goodies to someone who comments on my blog posts relating to this hop, so please comment away !! I chose the Julia stamp as my main image because it shows both my love of coffee AND books. It was so much fun to color using my Distress markers. I also wanted to use some of my new Autumn washi ( I have a slight addiction to washi, if you didn't already know that ).. I chose autumn colored markers for the image after stamping it with Tsukineko Rich Cocoa ink. The card base has golden highlights which remind me of fall, especially the golden leaves at this time of year. I have been in love with the Santoro Gorguss girl stamps and was thrilled to find that cute little leaf in the "Little Red" stamp set..It was perfect for this card. A big shout out again to Amy Tsuruta and Chaitali Narla and Kimberly Wiener for all of their hard work on this Blog Hop. There are over 1000 members on the Coffee Loving Papercrafters Facebook page .I cannot wait to see how many cards are entered this time around. The Summer Hop had over 500 projects entered !! There will be many fabulous sponsors -- 42 to be exact -- and the chance to win prizes.. I hope you like my first card . Please leave a comment here for a chance to win some coffee goodies from me. Tell me your favorite coffee or beverage to have on hand when getting creative. I like to have a yummy flavored coffee while creating -- Caramel or Vanilla Cream Puff are my latest faves !! Thank you for visiting Meticulosity.. Enjoy these amazing fall days and view them as inspirations to be creative !! Love your card, lots of great colors and patterns! While I'm crafting, I usually drink plain coffee..I know, blah! But for a treat, I love to get a Starbucks Mocha Java Chip. The calories are astronomical, but it's worth it once in a while! Love your great card! I try not to have anything around while I'm crafting so it won;t get spilled and cause a DISASTER! (But I do take a lot of cold sweet tea breaks, here in the South)! What a beautiful card. Such a great image. Beautiful card and I love the image you used! Thank you for being a sponsor. Awesome card Debra!! I love the fall colors and the image of the lady reading a good book while having her coffee is perfect! What a fun coffee card, Debra, I do enjoy those stamps! Happy Friday! Love the scene on the card :D Good coffee and good book are perfect! Beautiful card, love the carefree scene!! Great card. I wish I could color! Have not mastered that! Hi Debra! Fun card ... love that washi tape!!! My favorite coffee is a Caramel Latte, but when I'm creating, I usually have a cold Starbucks Mocha, yum! I lost my comment... hope it doesn't come out double - then you'll know I'm a natural blonde! Yikes! Wow - what a wonderful creation!! Thanks so much for being a sponsor AND for the inspiration!! Ah, relaxing....reading a book while enjoying a cup of coffee. Cute! Such a unique and beautiful image, never seen before, great creation, love it! I am a cold coffee lover and ginger spice is my fave cup of tea! Thanks for being a sponsor of this fun blog hop! wowww, amazing card! It's a nice creation! Wonderful card. I like your coloring and the washi tape. I only drink water when I am crafting. Love to projects featuring books and reading. I love to read and stamp about them. I usually have a can of Pepsi by my side when I'm crafting. Have never drank coffee - don't care for the taste. - but know lots of people who live for it. Julia on your card is enjoying her book and her cuppa coffee, really like the whole look of your card. At the moment I'm having a really cold Ice Tea Green , but my favorite cuppa coffee is a Wiener Melange. what a cute card! Love the fun colors you used too! Love everything about this card my crafty friend...the distress colors, the stamped image, that gorgeous gold foiling, and that awesome and very fitting washi tape! Beautiful card. I like the image used. What a breezy fun card! I love the papers you used and the sprinkling of leaves! This is great! Thanks for being a sponsor! Drinking coffee and reading-that's my type of day. Lovely card. Love the fall colors. Gorgeous card! Such a fun stamp! Thank you for the giveaway - my favourite is Chocolatey Chai tea - yum! Had to switch from coffee, sadly, can't drink it any more. fun card, love it thanks for sponsoring! What a great, fun image! Love the gold patterned papers! My favorite coffee is french roast with 1/3 hot milk! Nothing fancy! Gorgeous card featuring two of my favourite activities: reading and drinking coffee. If I could read, drink coffee AND make cards, that would be awesome! The autumn palette: sooooo pretty! Hope your health issues are being resolved; great to know that designing cards is proving to be 'good medicine'! Thank you for being a sponsor and an inspiration! Lovely card. What's better than a good book and a cup of fresh coffee? Super fun card! Thank you for your sponsorship! Your card is awesome....I love that image and adding the leaves is genius! What a great and fun stamp! Love how you colored it and that washi tape is very pretty... love your card! great card! 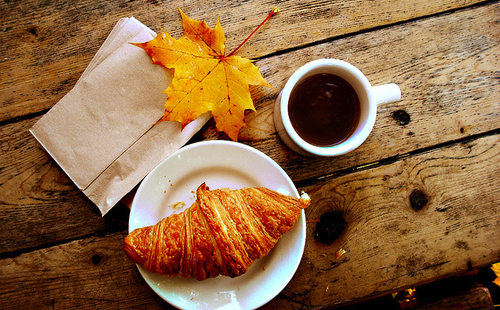 love the fall washi and what an awesome image with the coffee and a book girl - fantastic! I love your background with the leaves up the side is really nice looking. What a cute image, too! I do love your first card! Thanks for sponsoring the hop! Beautiful card and I love the image you used!!! I love this card! I have several of those stamps which I bought a few years ago from Rubber Romance - I didn't realise they were sold by someone else now. Coffee and a book.....perfect! Love the patterned papers you used, too. My fave creative beverage is a Hazelnut Latte! Oh, yum!!! I like a cinnamon or spice, pumpkin spice flavored coffee especially coming into the Fall and Thanksgiving season, but I do have a lot of other favorites, just not black coffee only. Very pretty card...I like the use of washi tape. LOVE your washi tape & beautiful Fall card!! I'm currently working on Christmas cards to be sent out to nursing homes.